As some here already know, I just had THREE deflated seats in FOUR days. That’s right folks, you too can win the pancake seat lottery. Repeatedly. And you too can also receive crap compensation with amounts that are even lower than previously. Others I know received far more for he same flight length so it seems that spending the money to become MM and remain SE - and even paying for J - is not working in my favor. And yes, I know what you’re thinking, stop flying AC until they fix or replace the seats. Indeed, in a text exchange with a fellow FTer, he strongly suggested I “date other birds”. Perhaps it is time for a “separation”, and consider my options re dating others. Further, neither I nor the THREE SDs could reset the seats. And there were no empty seats to move to. And on the AC 101 flight, there were multiple deflated seats and the SD told me all of us knew the rondelle reset, but it either didn’t work or inflated briefly. On AC 4, my seat inflated but then deflated in time segments ranging from 45 minutes to just under 2 hours. AC 16 alone was misery across the Pacific. mamau, D582, yrp and 3 others like this. @24left - A few people have hinted about this, but is the comp now being offered substantially different from the 'standard' range as noted in the wiki? 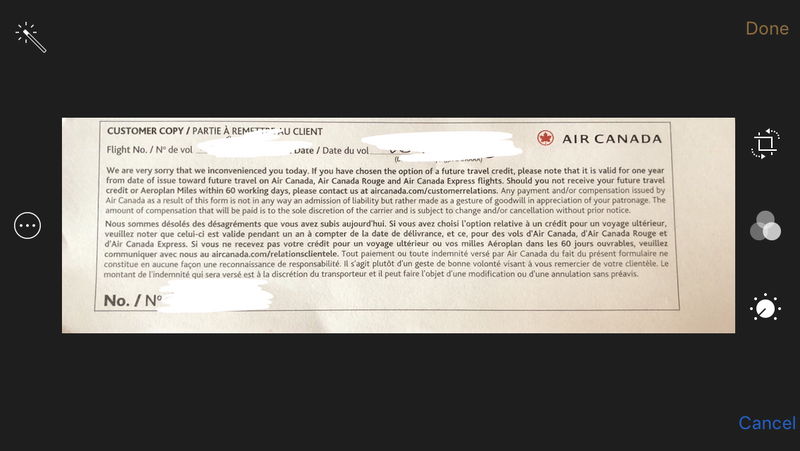 In other words, does Air Canada care even less about us than before? So, perhaps as another FT friend just suggested, maybe AC has decided to either randomly lower amounts or set a limit on the number of forms in a set period for an individual pax. He thought that while being SE MM should work in my favor, he thinks I fly AC too much and that is working against me. Great news, folks, it appears DeflateGate, at least on select long haul flights is a thing of the past! In particular, it would appear that AC is now handing out mattresses which ameliorates the issue altogether. It might help to have some first-hand, or at least in-depth, knowledge of a problem before declaring it to be resolved. bawm, canadiancow, Bohemian1 and 1 others like this. I'm sure status does have a relationship with response times but not sure about compensation amount. The last time I had a deflated seat between LHR and YYZ I was given 20,000 miles while is in line with what I've heard here. I'm hoping I will eventually get 40,000 for this pair of deflated seats. Right, but people have posted about receiving actual cash... or did you request the AP miles instead? I am off AC for a while to give those pumps plenty of time to recover their energy to reinflate the bags. (I was wondering whether the brief respite last year was that some pumps were replaced pending bag replacement but now they too are failing) However, I noticed a) slower replies b) not being contacted unless I wrote in however long I waited c) for some was advised would not compensate until had confirmed with crew and d) that they said were having issues with balancing real issues vs non real issues. Which sounded to me as a slew of claims not all of which could be validated. I sympathize. But my rear and shoulders have requested a respite period. d) that they said were having issues with balancing real issues vs non real issues. Which sounded to me as a slew of claims not all of which could be validated. I sympathize. That's actually an interesting one. While I also sympathize, they brought this upon themselves. If they tried that crap with me, I'd do a chargeback. They could also try something like refunding part of the fare when it happens. 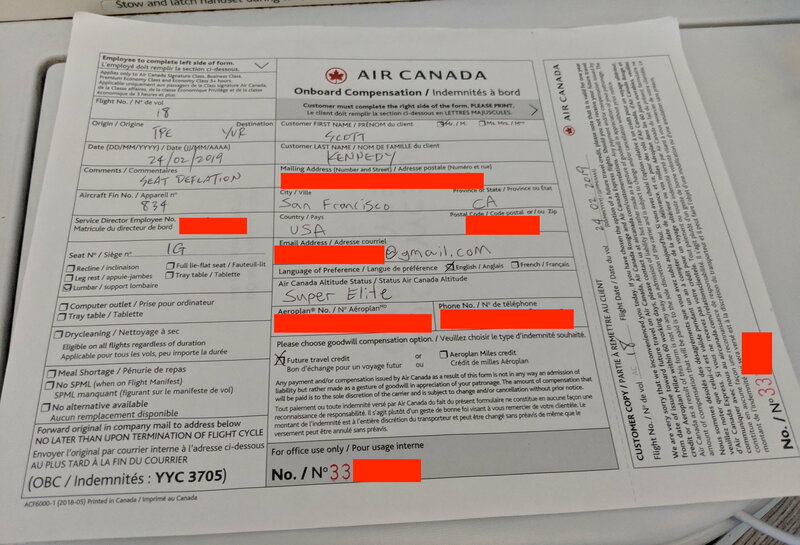 That way, a "scammer" on a $1000 mistake fare isn't getting their entire round-trip paid for, but someone on a $10k ticket doesn't feel taken advantage of. Personally am unimpressed with discount coupons of a few percent and $200 vouchers. You have to travel again, can’t combine them (unless a very cheap fare) and they overall result in perhaps a 5-10% reduction in airfare overall. I can get that through watching for deals or flying other carriers without having to spend a sleepless night in a situation I just spent 6k to avoid. I received $500 for a TATL and 25% for a TATL. The 25% was worth more than $500 when I used it. I don’t disagree the TATL and TPACs could be useful but the TCs are hopeless. But will pass on if have any won’t be able to use. In the past I've always asked to be able to choose between money and AP miles to see what's offered. I've only ever been offered discounts (always 500 CAD) and all things considered I reckon the miles are generally more useful for me. Fair enough. Definitely a preference thing. Agreed. If I'm looking at doing YYZ-YVR in J, a $1000 voucher is only 25% off; yet 40,000 AP points for a deflated TPAC seat is 80% of an AP J-class reward redemption. So the 40,000 AP compensation + ~35,000 AP points for the TPAC flight makes a J-class redemption free (and can cover the additional charges if you use your points to pay for those, too). I get a few mixed emotions when I read this thread. SuperCargo, WoodlandCreature, canolakid and 6 others like this.